It is often stated that Israel is “occupying” Palestinian land, and has no legal basis to exist. This is a lie - let’s learn the truth, and some history while we’re at it! 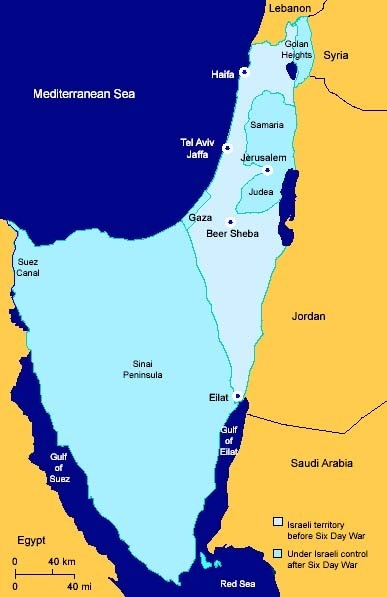 The State of Israel was established on May 14, 1948, by the United Nations and with the legal approval of the British, who governed the land where the modern State of Israel exists on at the time - note there was no Arab or Palestinian state there. These maps will show you a continual Jewish presence in the region, however, for thousands of years. A home for the Arabs and a home for the Jews. The Jews accepted. However, the Arabs rejected this plan - thus legally forfeiting their state - and staged a war against Israel in which it was attacked by six Arab armies…and Israel won. That left Israel a sovereign state, but Jordan controlled what is now The West Bank, and Egypt controlled Gaza, as that is where the parties involved decided to draw armistice lines. Once again…where is Palestine? Fast forward to 1967. Tensions in the region had been high, with troops amassing in Israel’s neighbouring countries preparing for war. In a preemptive strike, Israel rolled out “Operation Focus” - an airstrike on the Sinai peninsula. After only six days, facing armies from all of its surrounding countries, Israel had captured land from Syria, Egypt, and Jordan. Once again…no Palestine. However, Israel wanted to make peace with its neighbours - it didn’t want to have to fight anymore. On March 26th 1979, Israeli Prime Minister Menachem Begin and Egyptian President Anwar Sadat signed a treaty which gave the Sinai Peninsula back to Egypt, while still letting Israel have control over Gaza, in exchange for peace. And this worked! So, Gaza, an Egyptian territory given legally to Israel? Not occupied. In 1994, Israel and the Jordanians sat down to discuss peace as well. Jordan gave up control of Judea and Samaria, also known as The West Bank, as well as East Jerusalem, to Israel. Thus, these areas also cannot be considered occupied. The Golan Heights, also captured by Israel in the 1967 war, were taken from Syria, with whom Israel does not have peace. However, the land was won fairly and under the circumstances of any other country, its annexation would have been an approved one. But understanding bias against Israel is for another post. A sovereign Palestinian state has never been in existence. East Jerusalem, Judea and Samaria (the West Bank), the Golan Heights, and Gaza were won in a defensive war. 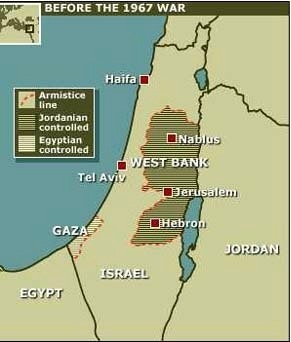 These territories, save for the Golan Heights, were legally given to Israel by the nations sovereign over them. With this history, Israel cannot be considered an occupier. The proper term for Judea and Samaria, Gaza, and The Golan Heights is not “occupied territories” - rather, “disputed territories”, much like Western Sahara or South Ossetia. This article can tell you more about Israeli history and activity, such as settlement building, in Judea and Samaria.